Qualcomm Snapdragon-powered PCs have struggled with performance. Demos suggest the 8cx could turn the tide. The Qualcomm Snapdragon 8cx is the chip the company hopes will scale the performance mountain, reaching the heights that competing Intel Core chips have already surmounted. After trying it at Qualcomm's Snapdragon Technology Summit in Maui, we can say it seems promising. As we learned Thursday morning, the Snapdragon 8cx was designed as a ground-up, optimized design specifically for laptops. Its mission is to achieve performance comparable to that of an Intel U-series Core i5 chip. 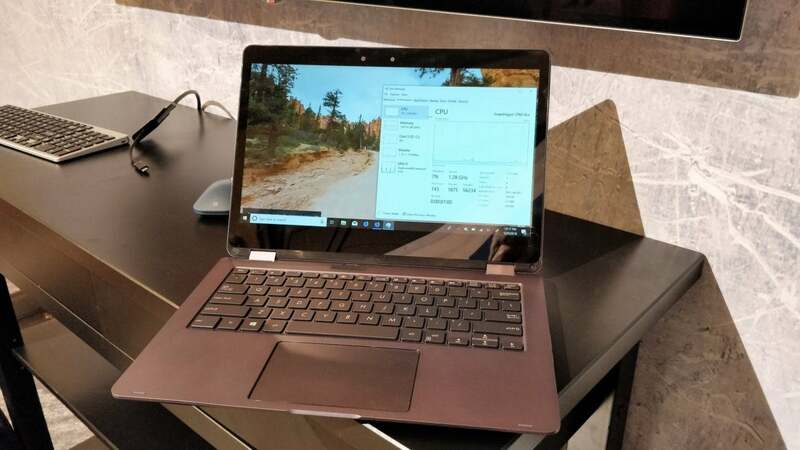 Qualcomm supplied a limited number of Snapdragon 8cx reference notebooks at the event, all running Windows 10 Pro. 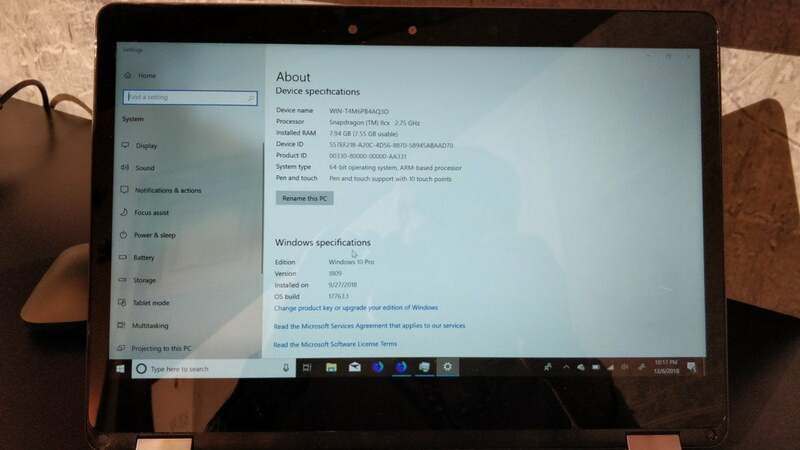 We tried to navigate to one of the web-based benchmarks we’ve used to test previous Snapdragon PCs, but we were told that benchmarking wasn’t allowed. In part, that’s because the clock speeds of the chip haven’t been formally determined. 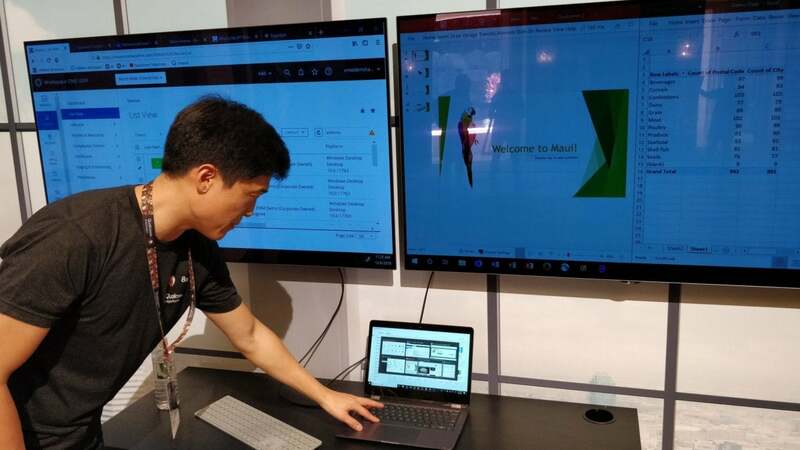 We were nevertheless able to take a look at three things: the overall responsiveness of the Snapdragon 8cx platform, and two browsers: a Firefox Nightly build optimized for ARM64 chips like the 8cx, as well as a first look at the Chromium (not Google Chrome!) open-source browser that Qualcomm is helping develop. Because Qualcomm’s a chip company, we didn’t expect to see much in the way of unique hardware—and we didn’t. The reference notebook was a fairly standard touchscreen convertible (360-degree hinge), with a pair of USB-C ports along the side. That’s a plus, because the first Snapdragon-based Asus NovaGo used a proprietary charger. The SIM slot on the side of the 8cx reference notebook. 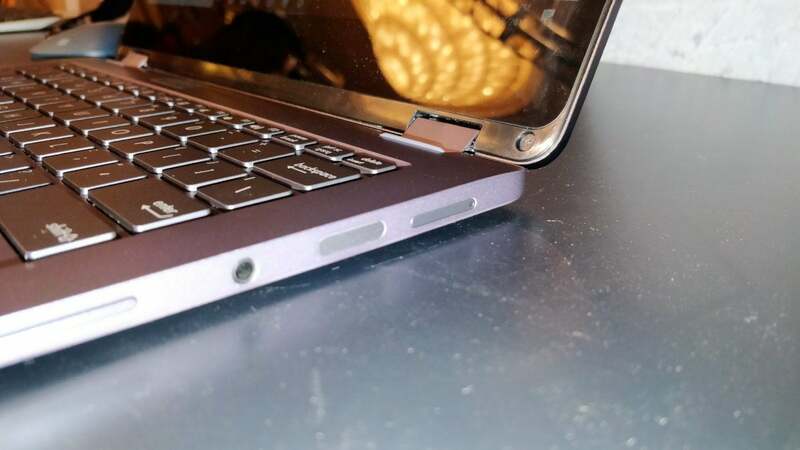 The other side of the laptop included a SIM slot. While the initial Snapdragon 8cx machines will be built around LTE, they’ll eventually gain 5G capabilities, Qualcomm executives said. Qualcomm set up demo stations to show the 8cx in action. In the video below, you’ll see some basic work with media-heavy sites and YouTube. Elsewhere in the demo room, Qualcomm employees loaded up the new ARM64-optimized Firefox browser as well as Edge, alongside Photoshop, then navigated back and forth, scrolling up and down. This is the configuration screen of the Snapdragon 8cx reference notebook. This is not indicative of the final configuration. We were told later that Verizon was throttling the download speeds of 4K YouTube videos, prompting the start-and-stop behavior you see. Vimeo was left unthrottled, and played back 4K videos just fine. We also managed to crash the prototype device, hard-locking it in the course of normal use. Apparently some bugs still need to be worked out before the chips are expected to ship in actual products, in Q3 2019. Still, we can hope that these demos represent final performance expectations. We also hope the long battery life, pervasive connection, and “instant on” wakefulness persist into shipping products. A Qualcomm employee shows off the Firefox Nightly browser on the left screen, with Chromium on the right. Both are coded for ARM64, the instruction set used by the Qualcomm Snapdragon 8cx. All in all, the Qualcomm Snapdragon 8cx looks good—but so did the first Snapdragon 835-powered Asus NovaGo. We also don't know what will Intel and AMD will have up their sleeve in the meantime. It appears that 2019 will be a busy year for mobile CPUs.